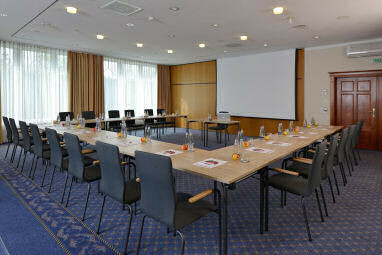 The 4 star BEST WESTERN PLUS Hotel Erb is your ideal partner for a meeting in Munich. 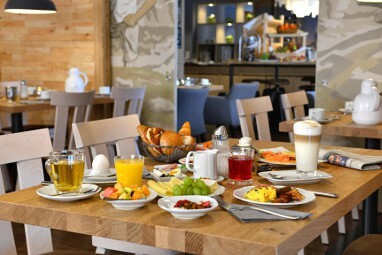 With its convenient location to Munich as well as the exhibition grounds and airport, it provides best service for your meeting, Conference, meeting or seminar. Our in-house event Department provides advice and assistance to the page and helps your individual event organisation. 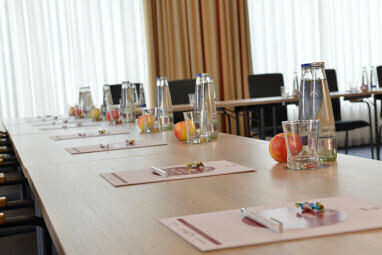 Conference facilities: Four spacious meeting rooms can accommodate up to 100 people and are technically well equipped. 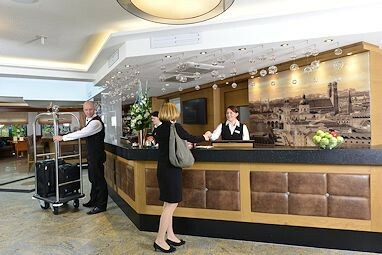 With their individually-controlled air conditioning, daylight, blackout facilities and State of the art communications technology, they offer a pleasant and productive working environment. Furthermore, three breakout rooms for maximum 10 persons available on request. 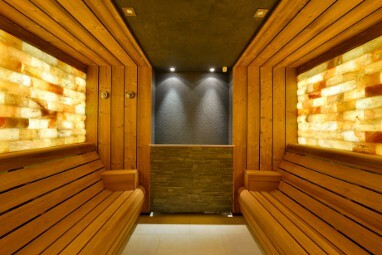 Finnish ‚log cabin‘ sauna, Bio stone pine sauna, Herbal sauna, Salt stone sauna with salt nebulizer, Infrared stone pine cabin, Aroma steam bath. For our guests who prefers sports and fitness we have state-of-the-art cardio equipment, running machine, upright cycle, elliptical trainer and Kinesis Stations by Technogym. 120 rooms and suites of different categories offer amenities that want business travelers: free high speed Internet via Wi-Fi, LCD TV and free Sky TV, Nespresso coffee makers in all rooms, individually controlled air conditioning, safe, telephone, desk and sound-proofed Windows. 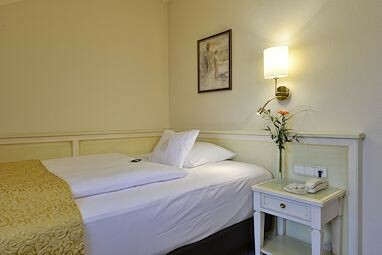 The comfort rooms have additionally stressless recliner armchair, extra-long beds and walk-in showers. 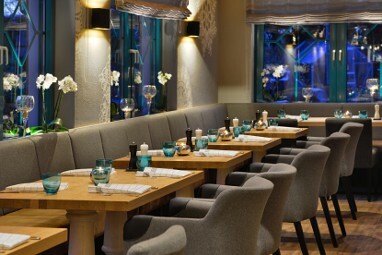 ALMGRILL - a restaurant where delicious meals from our Josper Grill are served in a modern alpine setting. 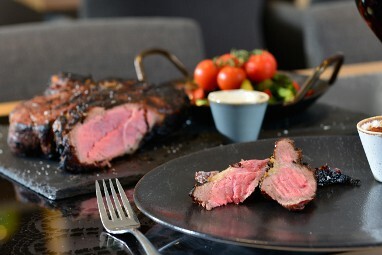 The heart of the Almgrill is our Josper Grill - a special charcoal grill from Spain. 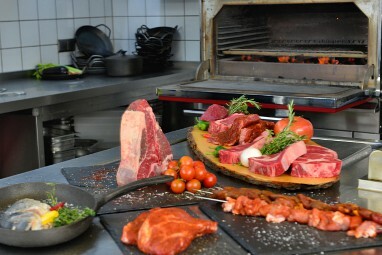 The focus is on selected meats like Rib Eye or Porterhouse, fresh fish from local fisheries, but also Bavarian classics. 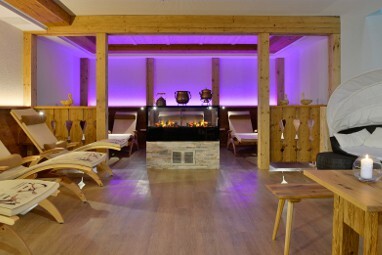 Exclusively for up to 30 people, we look forward to welcoming you in our cozy Zirbenstube. 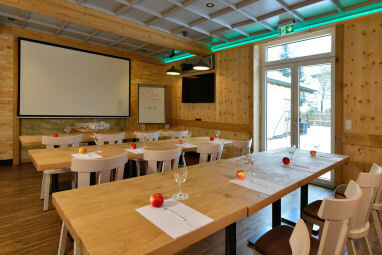 Furthermore, our Zirbenstube is equipped with conference equipment (projector, screen, LCD TV) and is perfect for small meetings! 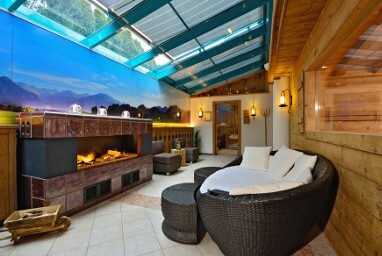 In our newly designed sauna Alpine village enjoy pleasant hours in the Alpine flair on 300 sqm. 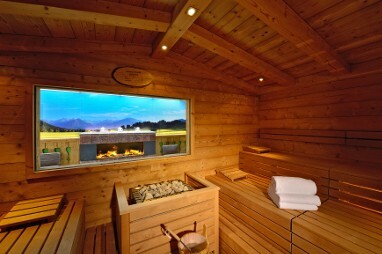 Following saunas are at the disposal of our guests: sauna hut, bio-Swiss stone pine parlor sauna, herbal sauna, salt stone sauna with brine atomisation, aroma steam bath and infra-red pine cabin. Our gym with latest equipment of the company TechnoGym available 24 hours is available for fitness enthusiasts. Four multifunctional event rooms, with individual air conditioning, daylight and blackout facilities, can accommodate up to 100 people and are equipped with the latest communication technology to meet all your needs. 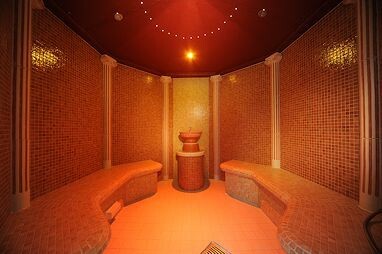 Furthermore, three breakout rooms for maximum 8 persons available. Professional meetings, seminars, meetings and conferences will be accompanied by the in-house events Department. 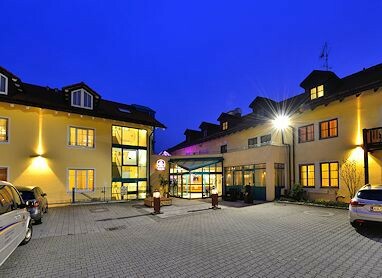 Conference package ´´PARSDORF´´ EUR 45, 00 p.p. 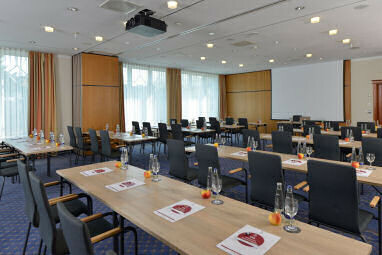 Conference package ´´Munich´´ EUR 58, 00 p.p. Drinks in the room: ´´unlimited´´ water and apple juice included! 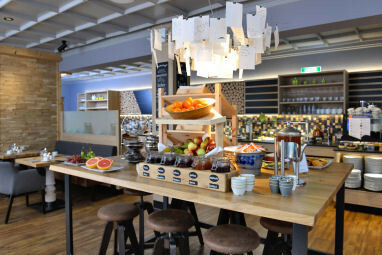 Conference package ´´Bavaria´´ EUR 68,00 p.p. 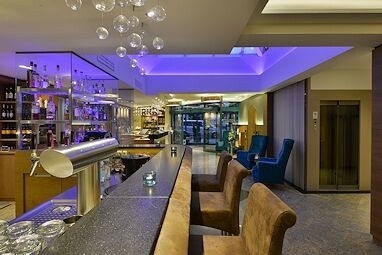 Drinks in the room: ´´unlimited´´ water and soft drinks included! At the motorway intersection München-Ost take highway A94 direction Passau and then the 1st exit Parsdorf. At the 1st roundabout 2nd exit, 2nd roundabout 1st exit, then straight ahead, passing the intersection and after about 100 m turn left – there you will find the BEST WESTERN PLUS Hotel Erb, where you actually check in. You will find our hotel on the left side. 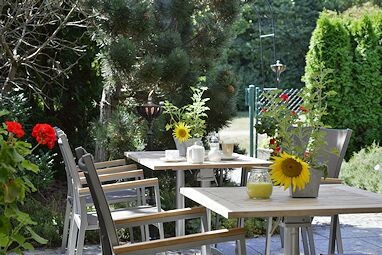 Take the S-Bahn (S 2) towards Erding, and get off the train at Grub (approx. 20 min ride). There is a bus service on weekdays with the number 452. On this bus you go to the station Gewerbegebiet Parsdorf. 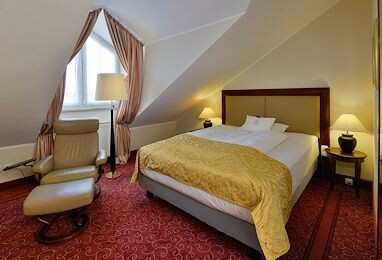 Then it is about 2 minutes on foot to the Best Western Plus Hotel Erb. Upon request we offer you a free pick up service at the S-Bahn station Grub - please contact us timely. Take the S-Bahn S8 towards Munich and get off at the stop Leuchtenbergring. There you take the S-Bahn S2 direction Erding, and get off at Grub (approx. 10 min ride). There is a bus service on weekdays with the number 452. On this bus you go to the station Gewerbegebiet Parsdorf. 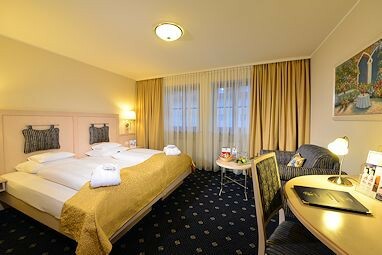 Then it is about 2 minutes on foot to the Best Western Plus Hotel Erb. Upon request we offer you a free pick up service at the S-Bahn station Grub - please contact us timely.